When would I need to use your services? Anytime blood or bodily fluids are left behind, a cleanup is necessary. After traumatic situations like unattended deaths, suicides, and homicides, a professional remediation company can help you manage the situation and ensure that the affected areas are cleaned and disinfected properly. Professional services should seriously be considered if a responding law enforcement officer or another government agent recommends it. Blood is never “just blood”. 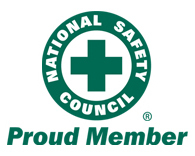 If you are unsure of or are untrained to handle the situation, give us a call. Health hazards posed by blood, bacteria, and infectious diseases can be serious. In cases of a communicable disease or a death or accident where blood is present, there is risk of exposure to bloodborne pathogens (BBP), infectious outbreaks, and structural damage to the affected property. Oftentimes, these pathogens are invisible, making the disinfection process a challenging task for the inexperienced. When blood spills are simply spot cleaned and treated with a topical solution, the affected area has not been properly disinfected. At best, this cursory surface cleaning has merely suppressed the lingering bacteria; at worst, it may have missed entire sections where the blood or fluid have pooled underneath carpets or floors. This causes two issues: the likely return of unpleasant odors and the growth of additional bacterial colonies. The Aftermath remediation process is a proven disinfection approach and mitigates these concerns. Learn more about the Aftermath biohazard remediation process. What is involved in the cleanup process? How do you verify that the area is clean? Unlike standard house or business cleaning, biohazard cleanup is a service that requires industry expertise, specialized equipment, and appropriate certifications. Aftermath’s science-based remediation process ensures that we properly assess the situation, contain the affected areas to prevent cross-contamination, remove all traces of blood and biological materials, and finally, disinfect and deodorize the area to a safe, livable condition. To verify that the affected areas are free of pathogens, we use ATP tests, which measures cell activity, including bloodborne pathogens. Only when the test registers zero RLU (registered light units) are we satisfied with the level of clean. This test adds technology, measurability, and accountability to our biohazard remediation process. 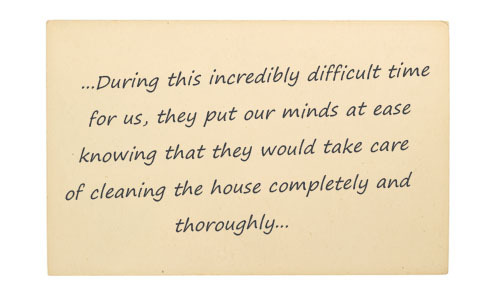 We are diligent and thorough because we understand that the health and safety of you and your family are on the line. Read more about our remediation process. Will my homeowners insurance cover this? Every loss is unique and while we cannot make any guarantees regarding your residential homeowners insurance coverage, in most circumstances, it does cover our services. If there is coverage, one of our dedicated insurance specialists will guide you through the claims process, including providing emergency claim-setting assistance. We will work with your insurance carrier directly to settle the claim and resolve payment. You will only be responsible for your deductible. If you do not have insurance, we have a variety of payment options and assistance programs. For more information, take a look at our financial options. We provide rapid emergency response 24/7/365. With 32 regional offices and more than 40 mobile units strategically located around the US, we can respond to most situations within 2 to 4 hours. We are ready to help whenever and wherever you need us. 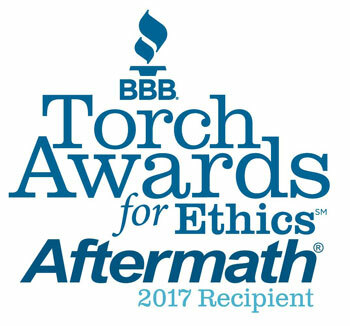 Why should I choose Aftermath? Not all biohazard companies are created equal – many are generalists, few are true experts. When biohazards, blood, and bodily fluids are involved, you need a dependable expert like Aftermath to ensure proper disinfection and protection from the potential spread of harmful pathogens. Bio is all we do: we don’t clean carpets; we don’t do mold, restoration or asbestos abatement; we don’t provide lawn care or traditional house cleaning. We have created proprietary cleaning agents, safety equipment, and disinfection process that are our intellectual property. Our teams are trained in a variety of safety protocols and all receive the same training regardless of geographic location to ensure that no matter where you are, you receive the same care and expertise. 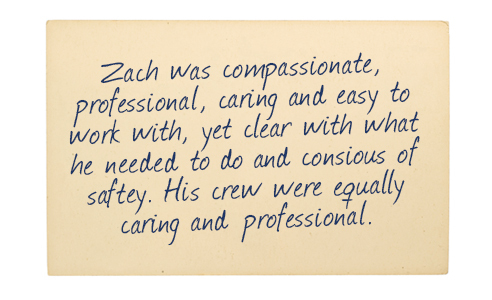 When you choose Aftermath, you can expect compassion, respect, and the highest quality of service. 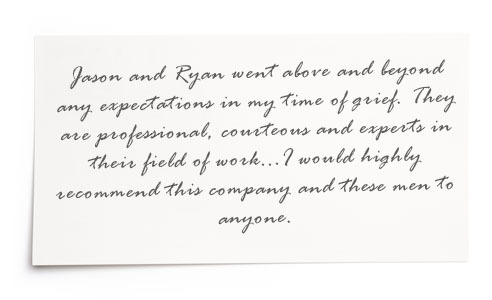 We stand by our work with a 100% Customer Satisfaction Guarantee. 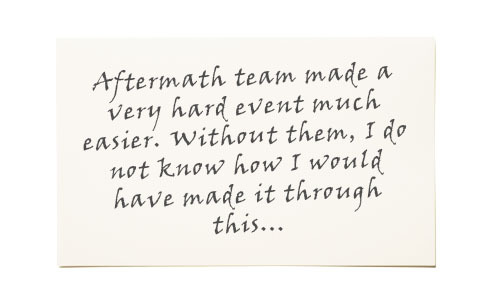 Find out more about our company and The Aftermath Way. We provide emergency response services to families, homeowners, businesses and communities. 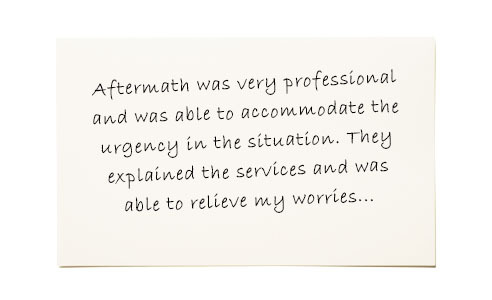 Each Aftermath customer is treated with dignity and compassion. 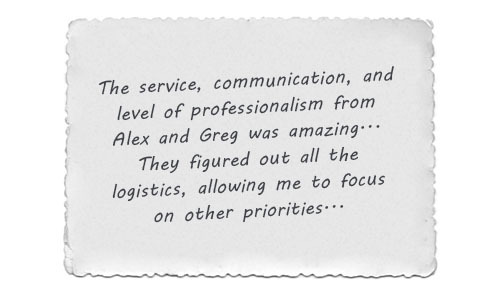 Read about our customers’ experiences. What laws affect biohazard remediation? Do you follow them? Find out more information about biohazard remediation regulations. Who are the technicians coming to remediate my home? Our field teams are at the core of our organization; they are dedicated individuals who provide compassionate, quality, and rapid response services to families and businesses around the country. As a result, we take great care to screen, train, and prepare every employee that joins our organization. 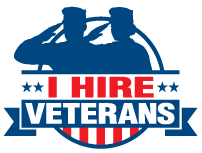 The pre-employment process includes a background check, drug screen, DOT physical, and respiratory/pulmonary function test. Upon hire, new employees complete a rigorous training program – online, in class, and on the job – to ensure that they are experienced in all the protocols necessary to safely and properly remediate your home or business. All of our field supervisors and technicians receive the same training regardless of geographic location to ensure that no matter where you are, you receive the same care and expertise. Do you have an interest in crime scene cleanup? We are always looking for compassionate and dedicated individuals to join our company. Read more about careers in trauma and biohazard remediation.